Something to talk about first off is Wendy and the little bird brooch she won. The bird will be flying south (or north?) for the winter, (better be north then). This week fox-off with this harajuku lover. It's a handmade brooch made from old children's books. Comment or retweet to win him! I have been making some little heart garlands and more heart brooches, getting ready for the marketing ploy that is Valentines day. As Valentines day makes me want to smack people, I figure that making gifts that serve more than just the 'occasion' is a good idea. Who wants a rose when you can have a heart from your sweet to wear everyday, or a pretty paper heart garland to sting up in the kitchen. Will post pics of them on the weekend and add them to Etsy. 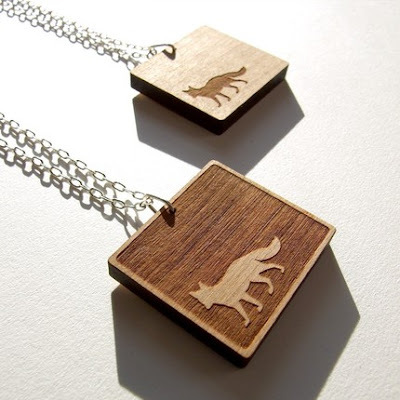 Here are some fantastic Mr Foxes for you ... from Etsy. He's really fantastic- no pun intended! 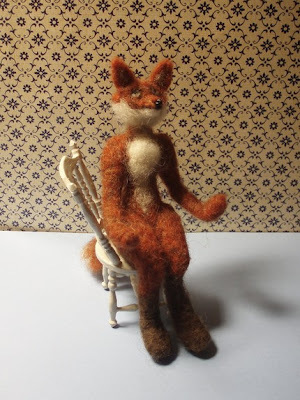 Thank you for adding my felted fox to your lovely collection. Count me in!!! 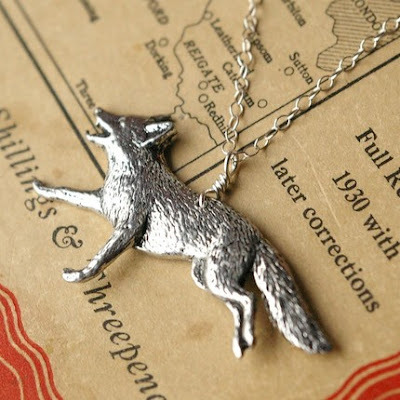 I love your foxes, I gave one to my very special friend for Christmas and she absolutely loves it!! I can't enter the giveaway but this post was lovely. I haven't seen the movie yet, was it good? I love Wes Anderson! So glad you found my littlew blog, I'm very new to the whole thing and havn't quite mastered it i don't think. Nope, that's not me who's partnered with a Jason but you're right, such a small world!! I also am in love with the heart garlands...a lot, lol. Hope you catch a glimpse (or more) of my show!